Bake this muffins for the kids. The bananas have been nesting in the fridge since last Sunday. When this busy lady have to bake for her customers, she just had to push aside half of the house chores. Two days to settle all the undone chores.. one day for mama to rest..finally this afternoon, the bananas got into the mixing bowl. 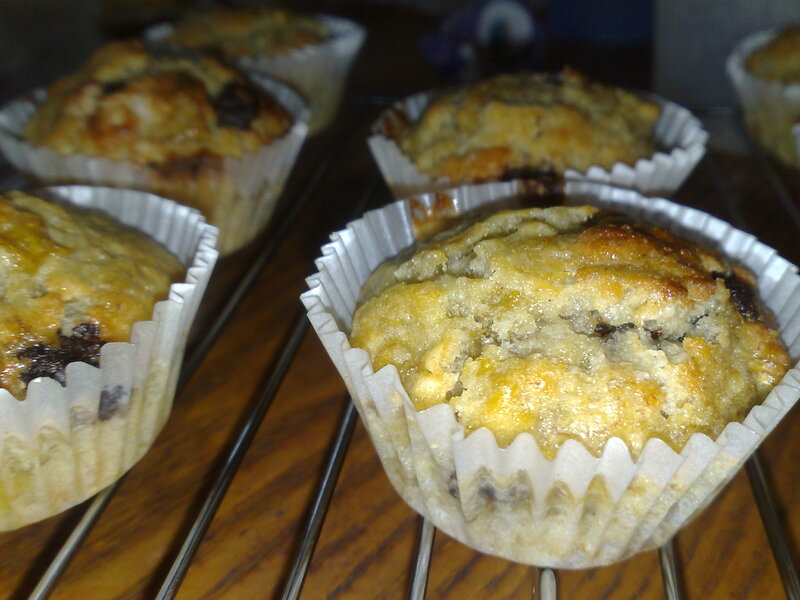 The muffin was lovely.. the recipe is from Joyofbaking. Sift together flour, baking powder, baking soda and salt into a bowl. Add in white and brown sugar and the chocolate chips. Mix well. In a separate bowl , combine together the rest of the wet ingredients. Make a well in the flour and pour in the wet ingredients. Mix lightly until just combined. The mixture should be lumpy. Spoon into paper cups and bake in a preheated oven for 12 – 15 minutes. 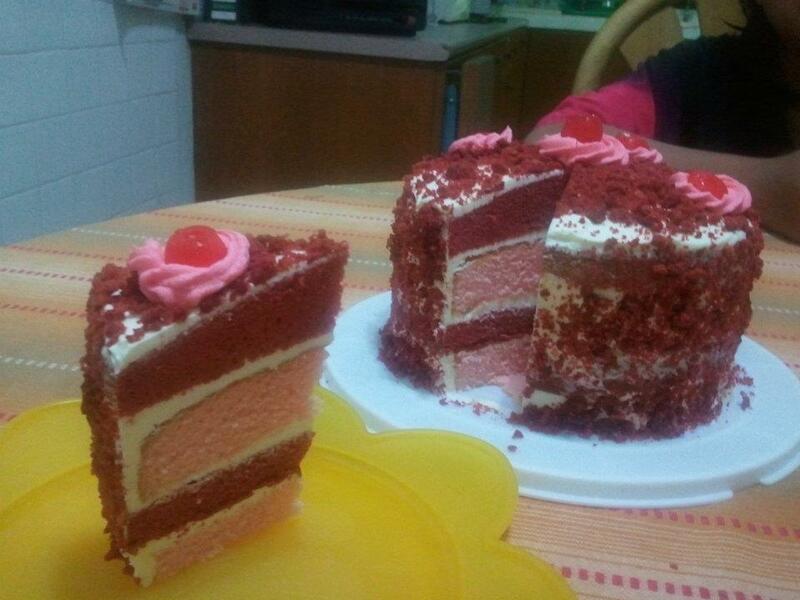 The cake, Hartini Haron generously shared with us. Thanks Tini.